Just under a year after the World Health Organization declared “the end” of the recent outbreak of Ebola in the Democratic Republic of Congo, the country’s government has announced a fresh outbreak with two confirmed cases of the virus. Alongside the two new cases in the north-western town of Bikoro, which were confirmed after laboratory analysis, there are believed to be a another 10 cases, said Jean Jack Muyembe, who leads the national institute for biological research. In a statement the WHO said that two out of five samples from five patients had tested positive for the virus at a health center in Kinshasa, but that more specimens are being collected for testing. Health care workers go through an emergency simulation Ebola exercise at the Tanjung Emas port on Dec. 04, 2014 in Semarang, Central Java, Indonesia. The WHO has been helping the DRC Government shore up its health and medical defenses against further outbreak since the virus’ last epidemic was contained in 2017. “Our top priority is to get to Bikoro to work alongside the Government of the Democratic Republic of the Congo and partners to reduce the loss of life and suffering related to this new Ebola virus disease outbreak,” said Dr. Peter Salama, the deputy director-general of the WHO emergency preparedness and response department. “Working with partners and responding early and in a coordinated way will be vital to containing this deadly disease,” he added. Medical teams from the government, the WHO and Doctors Without Borders, a frontline medical charity, traveled Tuesday to the area of the latest outbreak to investigate and assist with containment. This is the ninth cycle of Ebola recorded in the DRC. The disease was discovered in 1976 and named after the eponymous Ebola River that cuts across the north of the country. The disease is believed to be spread by bats, who can incubate the virus without being affected by it. The bats can then infect other animals living in the same trees, such as monkeys. The virus is thought to spread to humans via infected bush meat. 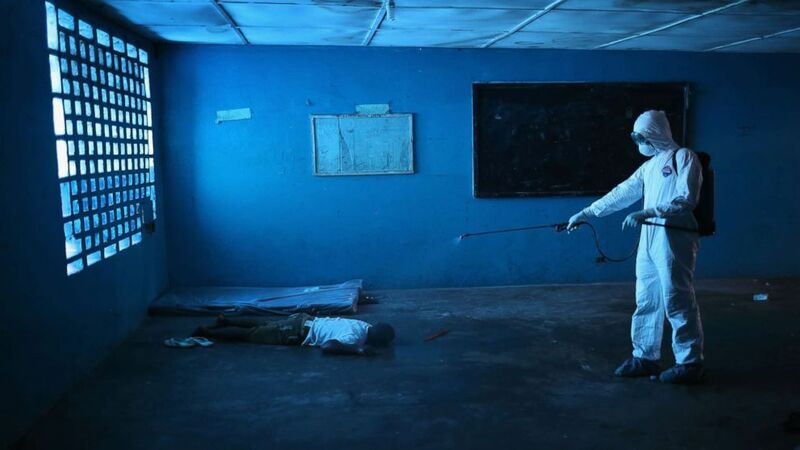 The aggressive Ebola epidemic, which triggered international alerts between 2013 and 2016 was the most widespread outbreak of the virus, killing more than 11,300 people and infecting nearly 30,000 others. The virus spread across the West African coast through Guinea, Sierra Leone and Liberia. Small outbreaks caused by passenger travel out of the contaminated areas, including a humanitarian worker being evacuated back home, were recorded in the U.S., U.K., Sardinia and Senegal.